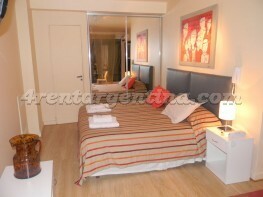 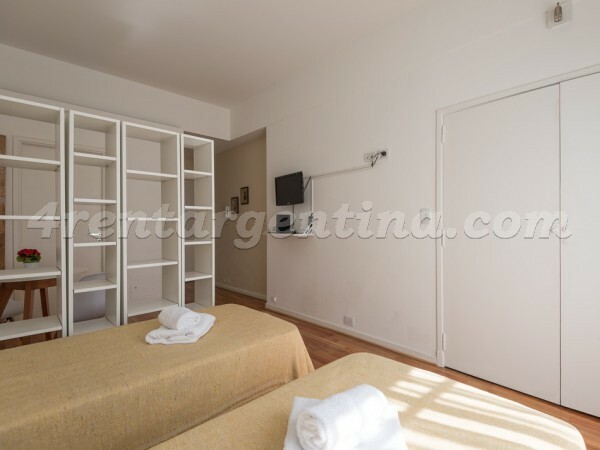 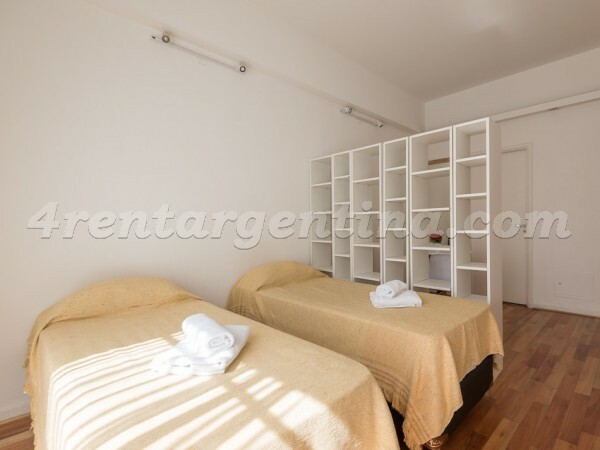 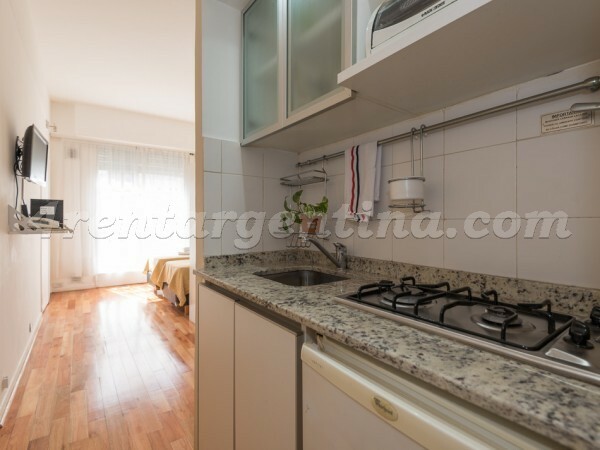 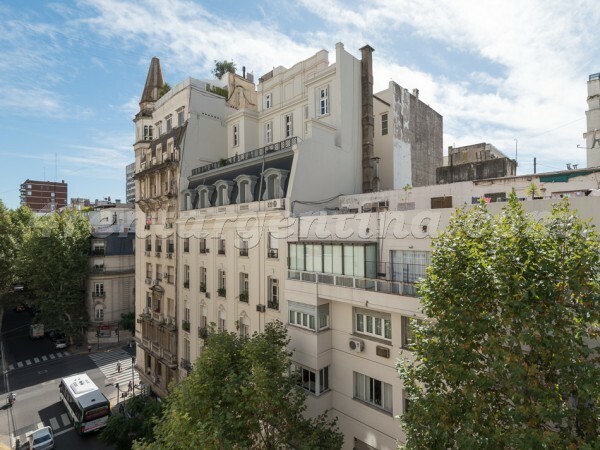 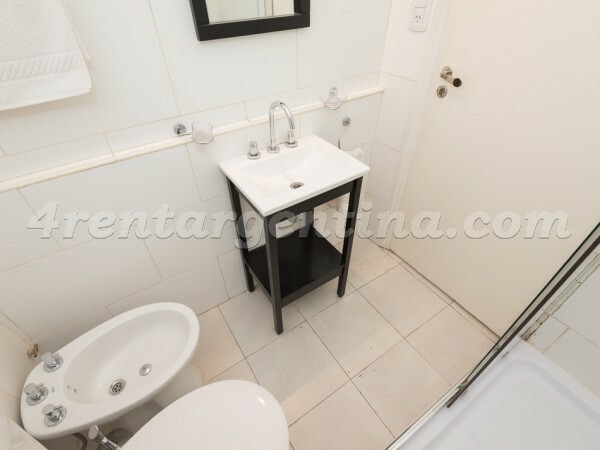 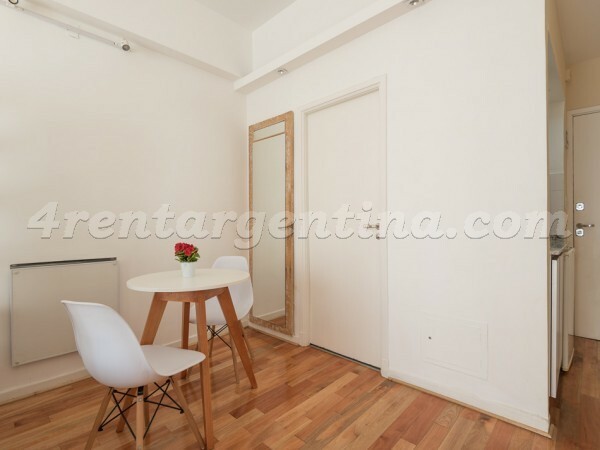 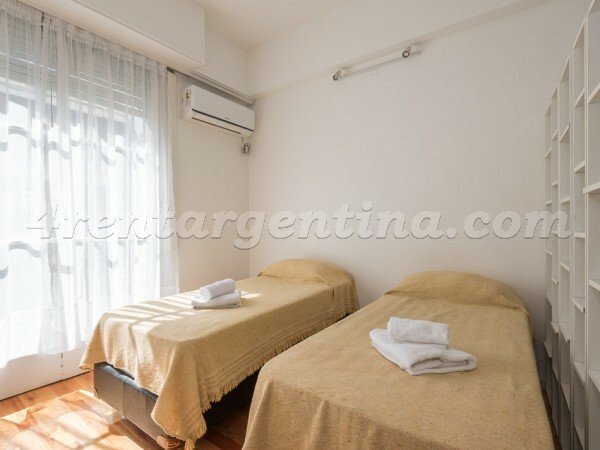 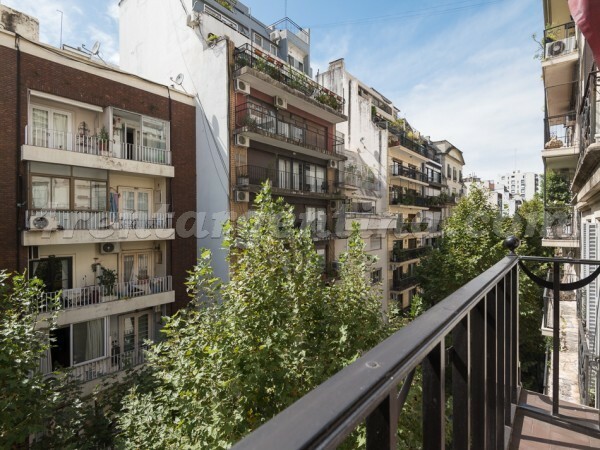 Comfortable studio apartment for temporary rent in Buenos Aires, located in the neighborhood of Recoleta, where you can find different bars, restaurants, shops, parks and tourist places such as the Famous Recoleta Cemetery and the Recoleta Cultural Center. 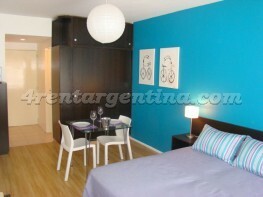 It is an area surrounded by means of transportation such as buses and subway lines. 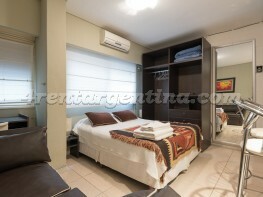 This apartment is ideal for two people. 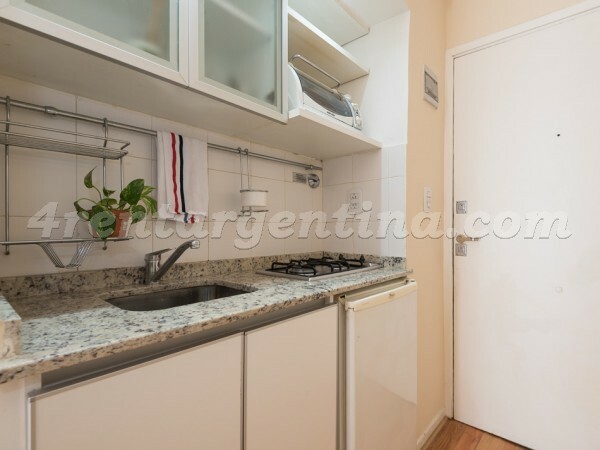 It has two simple beds that can be joined together to form a double bed, a table with chairs, an integrated kitchen fully equipped with gas stove, undercounter refrigerator and a small electric oven. 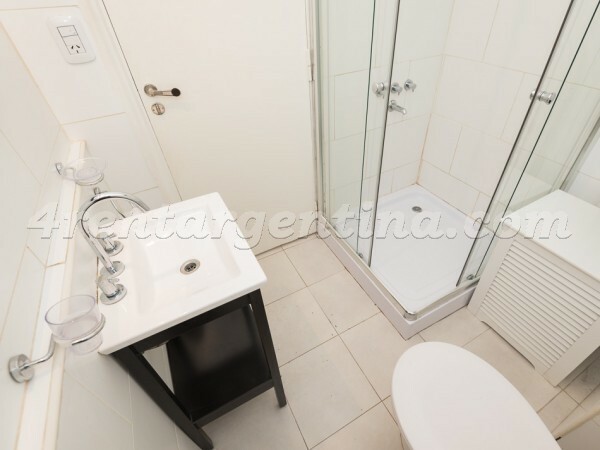 It has a bathroom with shower and a balcony facing the street. 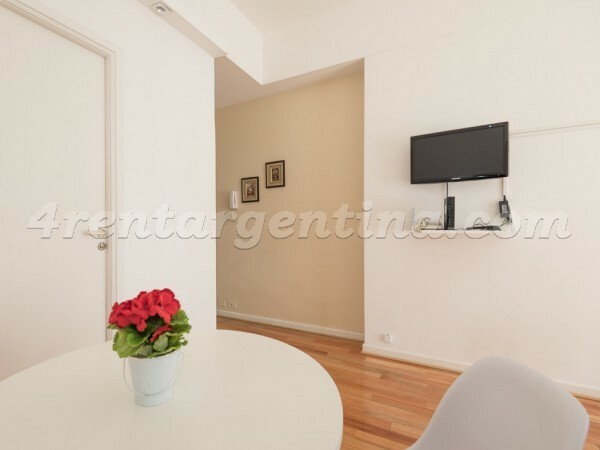 This apartment has air conditioning hot - cold, electric heating, WIFI Internet service, LED TV and telephone.